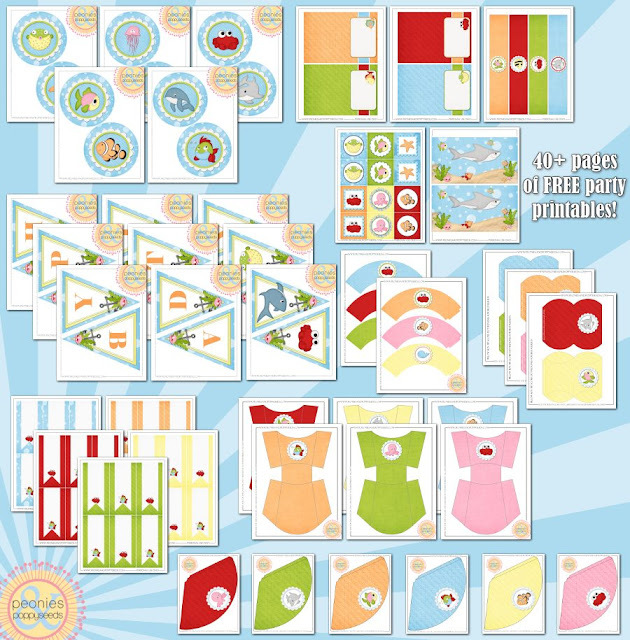 Today's freebie includes over 40 pages of printables. <- that's a lot. And as you can SEA, they're pretty danged cute, and would be perfect for a summer party, because *leans in close and whispers* SUMMER IS COMING UP FAST. So what exactly are you getting in this massive birthday party pack? Glad you asked. Click to download your Under the Sea Party Pack!